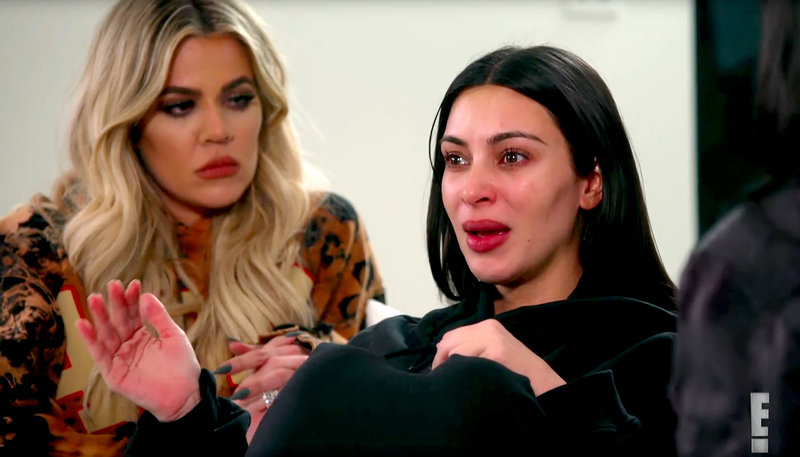 Kim Kardashian tearfully recalls her terrifying Paris robbery in a new Keeping Up With the Kardashians sneak peek, which was released on Sunday, March 12. Back in October, the Selfish author, 36, was robbed at gunpoint at the No Address Hotel during Paris Fashion Week by a group of masked men. She was gagged and placed in the bathtub while the assailants took off with more than $10 million in jewelry. Kardashian, who was shaken but physically unharmed by the incident, reunited with her husband, Kanye West, in NYC hours later. Once she returned to L.A., she recounted the scary ordeal for the E! show and to her sisters Kourtney and Khloe Kardashian. “They asked for money. I said I don’t have any money. They dragged me out to the hallway on top of the stairs. That’s when I saw the gun like clear as day. I was kind of looking at the gun, looking down back at the stairs,” she said in a confessional. In January, Paris police charged 10 people out of the 17 arrested in connection with the crime. 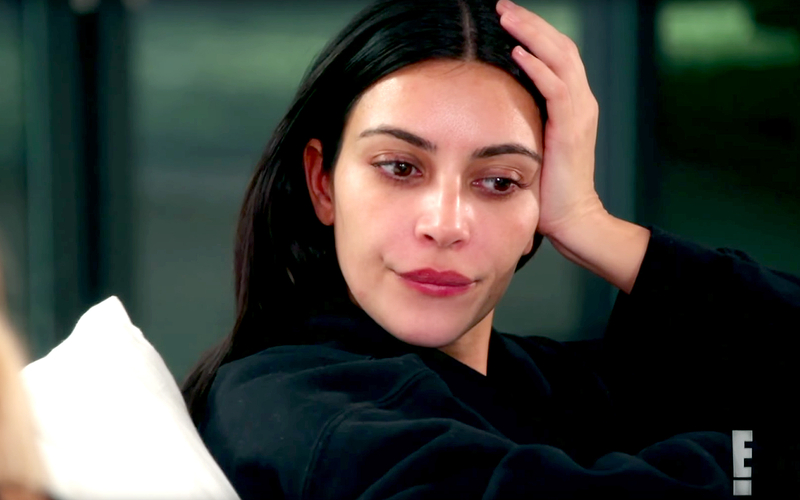 Last month, Kim testified before a judge and attorneys for two days in NYC, answering questions about the incident and trying to identify the robbers.